In May 1972, a decade after Cesar Chavez founded the union, the Legislature in his native state of Arizona pushed through a bill sponsored by agribusiness denying farm workers the right to strike and boycott during harvest seasons, and effectively making it impossible for them to organize. When news of the law’s enactment reached him, Cesar returned to Arizona and began a 25-day water-only fast. The fast quickly took a physical toll. After a few days Cesar was bedridden. Resting on his back in a small room, with UFW co-founder Dolores Huerta by his side, Cesar was briefed by a group of local Latino labor and political leaders about political realities in the state. The leaders offered a refrain Cesar and Dolores heard many times: The grower lobby that dominated state politics, the Legislature and governor was so powerful, these Latino leaders declared, it couldn’t be beaten. Cesar and Dolores silently listened while they explained why the fast and efforts by farm workers would be fruitless. “No, no se puede!” (“No, no it can’t be done”), they kept repeating in Spanish. Then Dolores responded, “Si, si se puede!” (“Yes, yes, it can be done”). Dolores immediately picked up the call and made the slogan the rallying cry for the farm workers’ campaign in Arizona. Following Cesar’s 1972 fast, during which he became so weak he was hospitalized, the UFW mobilized thousands of labor, religious and community activists, and collected enough signatures to force an election to recall Governor Williams. The governor escaped the vote with a partisan ruling by the state attorney general. The state’s punitive anti-farm worker law is still on the books. 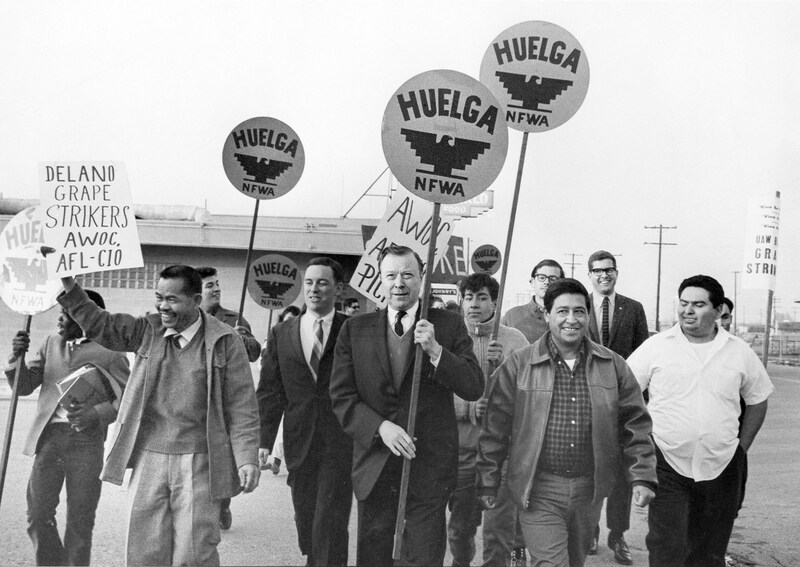 Yet Cesar Chavez’s historic fast, the UFW’s activism and the message of Si Se Puede! have fundamentally transformed Arizona to the present day. Cesar has passed, but his legacy of self-sacrifice—and the affirmation ¡Si Se Puede!—is alive wherever farm workers organize and wherever people anywhere stand up nonviolently for their rights.